The Bonkers rapper is re-recording Shout (For England), the 2010 World Cup song he released with the actor James Corden, with updated lyrics to include references to new manager Roy Hodgson and other recent events. Dizzee told the Independent after accepting an Official Charts Company award for scoring five number one singles on Tuesday night: "You're holding me up. We've got to get my car and get to South London to record the England song. "We're remixing it to make it sound like we're gonna win this time. I was working on the lyrics in the traffic on my way here. I'm still trying to finish it. You want me to read it out to you?" He added: ""We're gonna get it straight out on download. We've got to get it out before Sunday so it looks like we're covered." Proceeds from the song, released by Simon Cowell's Syco label, will go to the Great Ormond Street Hospital for children. 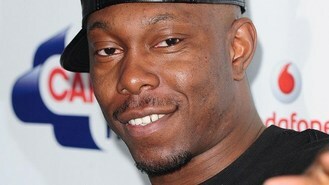 Meanwhile, Dizzee told The Guardian how his plan to move to Miami to escape the spotlight had backfired. The 27-year-old rapper said: "I wanted to go there incognito and just be normal. I didn't go there and go: 'Look, I'm Dizzee Rascal, can you get me anything?'" But he added: "I realised how s*** it can be as a punter. They treat you like a c*** on the door because of your clothes or because they just don't like the look of you, or it's: 'You ain't got no girls with you, you can't come in.' I'm like: 'What - do I have to bring girls to the club? I don't understand! I come here for girls!'"